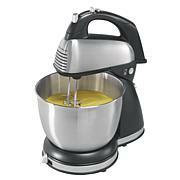 This stand mixer is a small version of a Kitchen Aid. The power is there and is able to handle smaller batches of dough, batters and frostings. 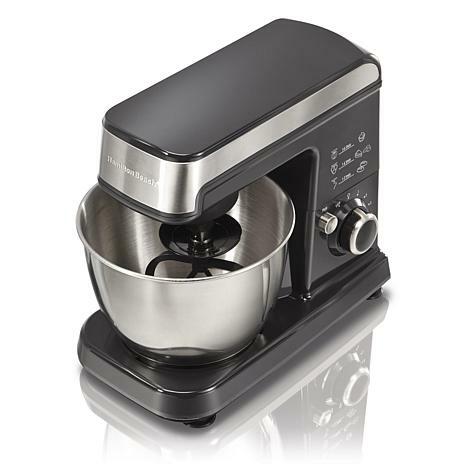 Love the stability and way the mixer doesn't take up too much counter space. Love this mixer, it does what it is supposed to do and then some. Like that it has little suction feet on the bottom, so it doesn't "travel". Love this mixer. I use it for all my baking needs. Whether I'm making cookies or bread. This mixer works great. Wish I would have got one sooner. 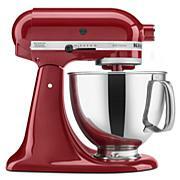 I have been wanting a stand mixer for a very long time but didn't want to pay $200-$300 for one. 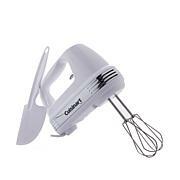 This is a fantastic mixer. 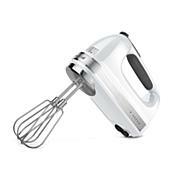 I have used the paddle and the whisk and both work great. I have not used the dough hook yet so I cannot review that portion. I highly recommend buying this product.